Do you make your own Christmas cards? Nothing nicer and I am filled with admiration for you. I remember those long-ago sticky days at the kitchen table with cartridge paper never quite cut properly to size; with tubes of glitter, blunted scissors, pots of Gloy, paints and felt; with stars, tinsel and bugle beads. So much raw material and so few usable cards to show up for it: an occupation for the days when Time conducted himself in a leisurely manner. Then, the weeks before Christmas loitered and lingered instead of rushing past as now, with Time driving his winged chariot at breakneck speed, faster than Santa’s sleigh. If I were to make my own cards now I would have to begin in June, like Joan Crawford, and I’d never ever come close to having the 100 or so I usually send out. But every autumn I still start with sentimental ideas of spending a cosy afternoon and evening writing my admittedly store-boughten cards in a snug & glowing cosy kitchen with the wireless on and the kettle singing. I’m fine for a couple of hours but then l mislay my master list; mismatch the envelopes; become nauseated by licking the gum and develop writer’s cramp. My method begins to unravel and instead of accomplishing the project in a single sitting, it stretches out over days and weeks, still ending in a scrabble for the last post. I also try to match the subject of the card to the recipient: so I buy Madonnas and snow-bound birds; landscapes and formal holly sprays; skating pugs, polar bears and frosted ice flowers. Sometimes a touch of secular humour: my own favourite last year was a charity archive “snap” of a jolly old couple pulling a cracker over enormous helpings of Christmas pudding. But it has occurred to me of late that there is an additional pleasure in scenting my outgoing mail. You might try it. An unusual way of personalising your greetings and dead easy,too. There’s something awfully romantic about sending a delicious smell – the smell of oneself – through the post; sealed up in an envelope to be released by the recipient hundreds – even thousands – of miles away. Here’s what I do. I take my favourite fragrance (or more than one – this is an occasion on which you can happily mix ad lib)- and spray a little onto a paper tissue. Then I just lay this in the box in which I keep my stationery, put the lid on and leave for a couple of days. If you’d like to have a go at this and think you may prefer the scent stronger, then spray several tissues and, when dry, intersperse them between the sheets and cards. 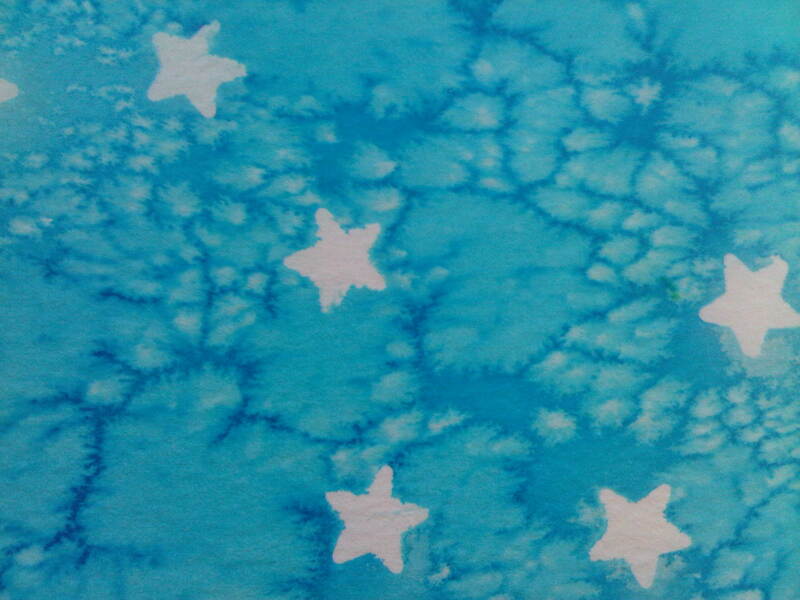 Don’t be tempted to spray direct onto cards or envelopes as this may stain or cause ink to blot or run. Never discard a tissue; simply add more for a rich accumulation of perfume. Orientals, chypres and dark fougeres seem to work best but, as I say, experiment. I’m sure one writes one messages more creatively with all this redolence stimulating the brain. Merry Christmas to all our dear readers! Please accept this as an electronic card of sorts from Lemon Wedge – unscented but, like Mary Poppins’s magical medicine bottle, may each of you smell his own favourite fragrance therein! Dedicated – without permission but with admiration – to Mrs E.S. I’m not always at the receipt of custom at the shop, you know; on Mondays I have to go to Richmond and there I usually treat myself to an egg sandwich for lunch. Don’t you think there’s something modestly festive about such a thing? Elizabeth David mused over the delicate magic of an exquisitely simple and perfect omelette . After all those years of egg terror we are now told we can eat as many as we like and do ourselves nothing but good. And in the supermarkets the egg sandwich is usually the cheapest option. Nicer to make it at home, though, and then wrap in a parcel of greaseproof paper with a little twist of salt – celery salt is nice – packed separately. Scrambled egg – maybe with a touch of tomato ketchup or a scratching of Marmite or Bovril – can be excellent; but the classic version has to be hard boiled egg, sliced with mayonnaise. My mum used to substitute sliced tomatoes for the mayonnaise and add a great deal of black pepper. On thin slices of brown bread these were lusciously damp and most nutritious. Eggs go good with watercress or sprinkled lightly with paprika. The delicate crunchiness of mustard & cress gives an intriguing contrast of texture. I have eaten anchovy and egg sandwiches at a Kensington cafe: a delicious idea but it didn’t work that well – there was too much anchovy and crusted salt, and the little fishes were not sufficiently drained of their oil so that I spoiled a good tie. The nicest way is the simplest way. Take your eggs ( once brought to room temperature so that they don’t crack) and bring them to a gentle boil. Cover, remove from the heat and leave for about nine minutes, then plunge into cold water. When cooled, peel them. Now this is the bit that people don’t like. There comes a concomitant eggy smell; to some it is a sulphurous smell, and the longer you wait before peeling the eggs the stronger the smell will be. This puts some workers off bringing them to work for an economical lunch. They are embarrassed to shell them. Take heart! The great Fred MacMurray brought a couple of hard boiled eggs for lunch on the Paramount lot daily: and if he could beg a slice of free bread in the Commissary so much the better. He ended up as one of the richest men in the movies. Katharine MacDonogh* tells a comical story of Queen Alexandra and her peke that demonstrates perfectly the problem of the egg odour. Alexandra’s dog Togo had died and the lovely Queen who was by this stage becoming increasingly eccentric refused to allow him to be buried: she insisted on keeping the body on Togo’s favourite cushion in the very warm Sandringham boudoir and over a period of days the atmosphere became – shall we say? – “difficult”. When a plate of egg sandwiches arrived one tea time, Alexandra exclaimed,”Ach! They smell just like poor little Togo!” And went into a tremendous fou rire which, so to speak, cleared the air, so that Togo was belatedly laid to rest in the garden. So: to return to the chopping board. Having shelled those eggs, slice them and arrange on buttered bread and sprinkle with salt and pepper. Then glob a nice big spoonful of mayonnaise on top ( Hellmanns is best but Heinz Salad Cream is piquant) and smooth over. Exquisite simplicity. Maybe a suggestion of red pepper or paprika? Wrap your sandwich in a couple of large lettuce leaves to keep it fresh and then tuck it in your lunch bag. I feel that a decent white loaf – or soda bread – best brings out the eggy creamy flavour. A rough sweet-smelling brown bread tempers the unctuousness of the experience. Lastly, is there anyone out there who remembers childhood stories – dating at least from the 1920’s – about the Egg-Eyed Sharps? The inspired name comes from a type of sewing needle; the tiny malevolent creatures (more roguish precursors of The Borrowers) lurked behind curtains and above pelmets, spying on human activity with bulbous ovate peepers. 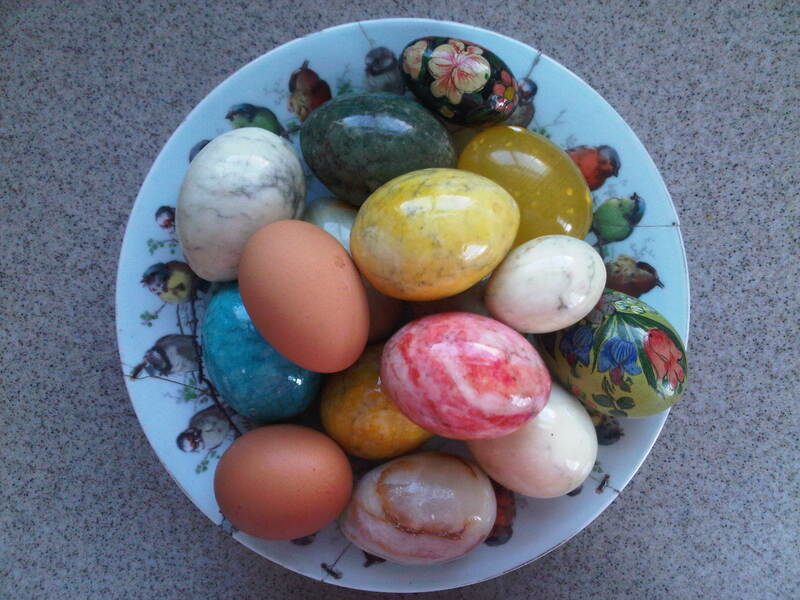 If any reader can shed more light – or submit an good ‘n’ easy egg recipe – please write in! * In her wonderful book “Reigning Cats and Dogs”, Fourth Estate 1999. Such incredible fierce desire to re-watch REBECCA: do you remember the dialogue in the first reel when Joan Fontaine talks of bottling up her memories like perfume? Larry grimly reminds her that those little bottles “sometimes contain demons that have a way of popping out at you just as you’re trying most desperately to forget”. I thought Hallowe’en this year was pretty diabolical in the literal sense. It’s become such a massive occasion (commercially second only to Christmas), and on that mad Friday evening when temperatures in London reached 74 degrees things to me seemed frighteningly out of hand; had gone Too Far. Everything was going curiously awry – Tubes packing up, trains running late, tourists losing their way and fainting in the heat. We were all led astray that night: the popular consciousness had frivolously courted evil and boy! did we reap the wild wind. As we know, goodness and virtue have a beautiful odour – Alexander the Great’s sweat smelled of violets; the relics of the saints give off an immortal redolence of roses. The corresponding perception is that evil smells corrupt, foul and repellent. And, according to old medical miasma theory, what smells bad will make you sick: disease is transmitted not by germs but by smell. This theory was current even a hundred years ago: my grandmother (her father was a health inspector and recognised smallpox cases by the characteristic smell of apples) certainly subscribed to it. I remember being hurried past stagnant ponds with a hanky drenched in iced lavender cologne clapped over my nose. 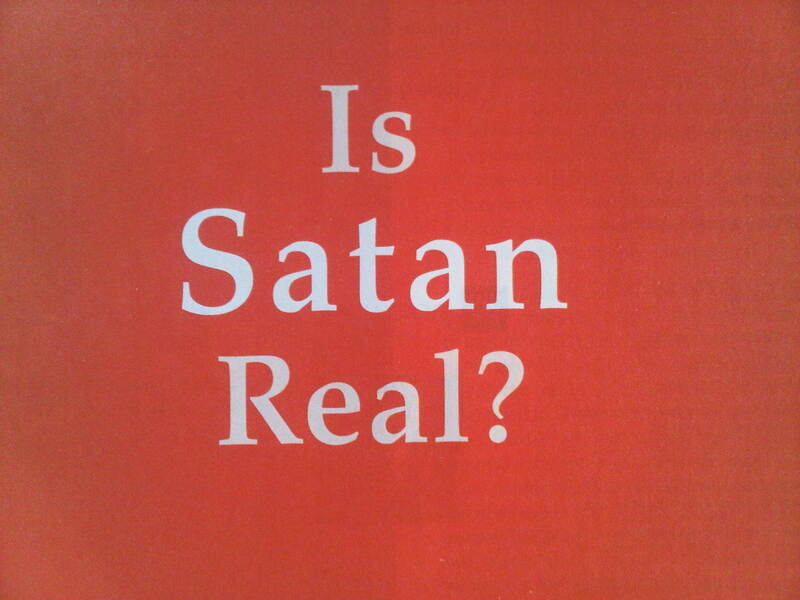 Satan, the Fallen Angel of Light, smells of sulphurous fires and excrement. Not for nothing were early matches, soaked in bone-rotting phosphorous, named Lucifers. I used to have dreadful dreams about sensing the demonic presence, not by the smell but by a glimpse of the cloven hoof behind a door or curtain. And of course that hoof takes us back to the notorious smell of goats, the farmyard and the pagan world of satyrs. Kilian chooses to eschew a close encounter with the Evil One. PLAYING WITH THE DEVIL is inspired by ideas of the Great God Pan rioting through lush fruity thickets “spreading ruin and scattering ban”; the old fertility god of the ancient world who was proscribed as a demon by the early Church. But this is an innocent if indulgent scent. Go a shade darker with Nu_Be’s burning lake of SULPHUR which conjures up night’s dark angels with black angelica, cinnamon, the eternal fires of ginger, opoponax and pimento. It’s one of a series of perfumes celebrating the elemental and generative elements of the universe: SULPHUR separates the Creationists from the Darwinians and has a certain theatrical fiery flash to it. Blue flames to light up Christmas and to dress you as the Demon King for the panto matinee. CUIR VENENUM by Parfumerie Generale has long been an object of veneration and curiosity to collectors of the bizarre. A fathomless abyss of soft musky leather illuminated with burning sulphur and bitter myrrh; and perversely sweetened with innocent orange blossom – Satan before and after the Fall. And finally try the Serge Lutens curiously mesmerising VITRIOL D’OEILLET, which brings out the love/hate metallic sharpness of pinks and carnations hiding beneath their peppery sweetness, as a vitriol thrower conceals her sulphuric acid in a posy of flowers. Devil take the hindmost: why not come by, come buy? How do you feel about bears? I am devoted to the creatures: my favourite wild beasts. Some biologists think that they are closer to Man even than the primates. The skeleton of a bear – and the bear’s posture when it gets up on its hinders – is very like that of a human. Whether they be black, brown, white or grizzly, bears have about them an apparent affability and solid self-sufficiency that is deeply attractive. They are also powerful, resourceful and enigmatic: the polar bear keeps a poker face so that one never knows until too late whether his mood is benevolent or deadly. Solitary, intelligent and brave bears are a formidable animal role-model. “I always think bears are simply terribly attractive” says Victoria in Nancy Mitford’s Love in a Cold Climate. Clearly, classy young perfumer Tom Daxon feels the same: he has a confident and massive brown bear as his logo, an unexpected touch which I find extremely engaging. There is a wonderful contrast between the huggable furry face and the classically elegant bottles and packaging of Tom’s brand: the beast adds a touch of humour and quirkiness to a product which for my money is one of the most satisfying and interesting lines of British perfumery today. And how marvellous it is, to see this resurgence in the art of British fragrance. In the eighteenth and nineteenth centuries England played a central role in European perfumery: London was the most important and powerful city in the western world, the centre of a vast empire. The fragrance trade flourished accordingly, equalled in splendour only by that of France and fed by exotic ingredients from the British colonies. The wheel has come full circle – we are once more the epicentre of scent with products known and exported all over the world. 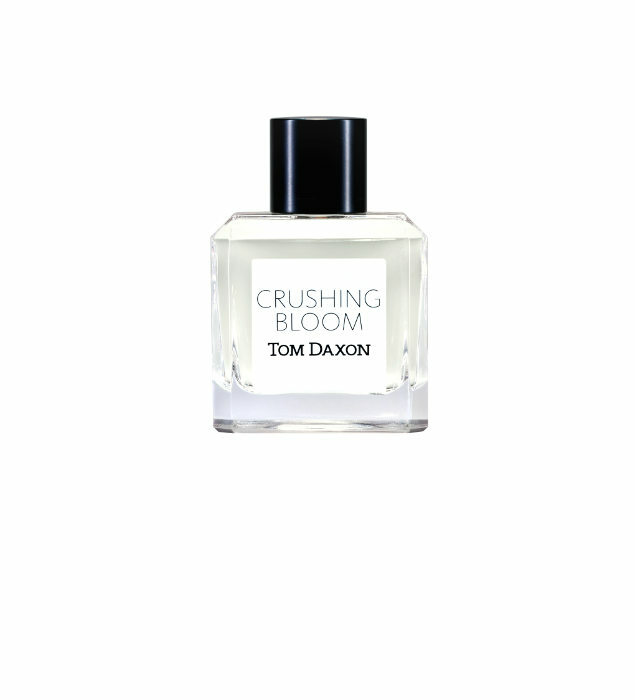 Tom is based England but his scents are made in Grasse, in a long-standing intimate partnership with family friends of the bosom Jacques and Carla Chabert, father and daughter perfumers whom Tom has known since childhood. My current Daxon rave is still CRUSHING BLOOM – an absolutely inspired title for a glorious green spicy rose weighed down with raindrops, nectar and gorgeous scent. The first word makes you think of pashes & Schwarmerei & swooning in the conservatory; it has a wonderful onamatopeic quality and it rhymes with “lush”, a quality it has in abundance. “Crushing”: it’s kind of fun to say the word out loud, rolling it around the tongue, thinking of crush bars, fresh fruit drinks, Imperial Roman revellers crushed under tonnes of petals. Then “bloom”, a great silky flower pinned in one’s hair, in a corsage or lowering, vast and heavy and outsize in a flower bed: I’m sure if we could hear a huge flower opening it would make a sound like this, a whooshing resonant noise as great velvet petals roll back like theatre curtains or lilies trumpet forth nectar and pollen. But CRUSHING BLOOM is more than just a thrilling name it is also a perfume of immense panache, style and eternal chic: it bows to the past and salutes the future. Then consider the pale golden beauty of another favourite, SICILIAN WOOD: a delicate but exquisitely defined orchestration of citrus, floral and woody notes which conjures up the presence of a southern orchard carpeted with jasmine, lily of the valley and glowing windfalls, the sunlight drawing the fragrance from the barks and branches of the ancient trees. Tom always delivers what he promises: his scents are never tricky or showy but have an assured confidence and silky authority, just like those bears. Many of us yearn for a signature scent, something as near as we can get to an involuntary animal identity, a defined seductive/ warning presence, an assertion of personality. Humans long for the reassurance of recognition: “I shall know as I am known”. 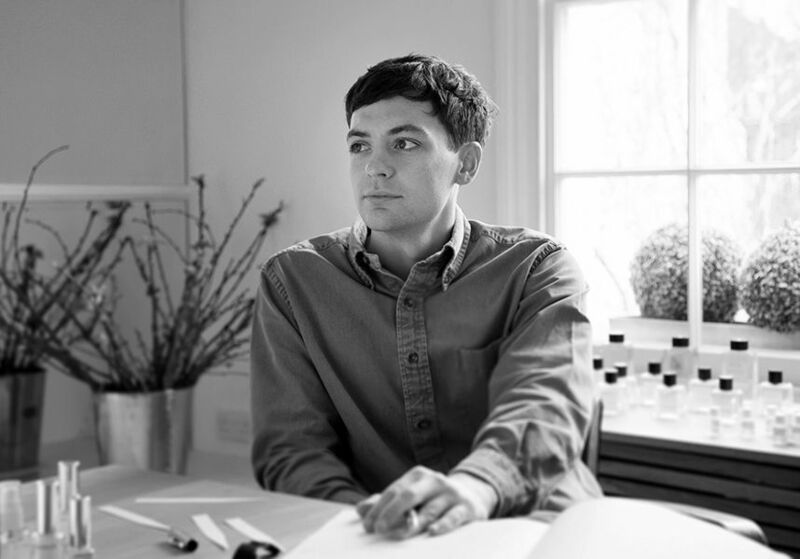 Tom Daxon takes his inspirations from the fascination of raw materials; he appreciates perfumes that recreate a specific material or perception – the touch of cool long wet grass or silver-iris cashmere; the odours of fine leather, frankincense and cognac. This visceral response of the creator gives his scents a frankness and purity that make them instantly recognisable; the smooth link of an old tradition illuminated by a new perception. It also makes Daxon fragrances ideal for use as the most prestigious of perfume wardrobes with a mood to suit every occasion. Much as I was entranced by a lady who told me that the Free French were able to find her London apartment by following a long long trail of Shalimar a-winding down the Goldhawk Road, I would much prefer the infinite variety so praised in Cleopatra. Maybe one day Tom will present with us with the definite odour of the Serpent of Old Nile. Meanwhile for now, EXIT PURSUED BY A BEAR. You can meet Tom Daxon at our festive soiree on Wednesday 10th December at our Seymour Place shop!